Your probably wondering why the title of this post includes Unicorns I'll get to that. If you haven't heard by now on February 5th 2012 Target released it's designer collaborated collection from Jason Wu. I'm not much of a fashion guru but I do enjoy a well styled piece from time to time. Jason Wu designed the Inaugural gown that the lovely First Lady Michelle Obama wore and since then he's been blowing up and that gown now resides in the Smithsonian. The first piece I knew I was going to have to have from the Jason Wu for Target collection was this Black Full Circle Pleated Skirt. It's just such a classic piece there was no way I could pass it up and for $29.99 it was a steal! Now I stayed up late and stalked their website into the wee hours of the night my time to pick this up and had no problems with it getting here. However it was shipped in a plastic Target mailer and unfortunately it was damaged during shipping. 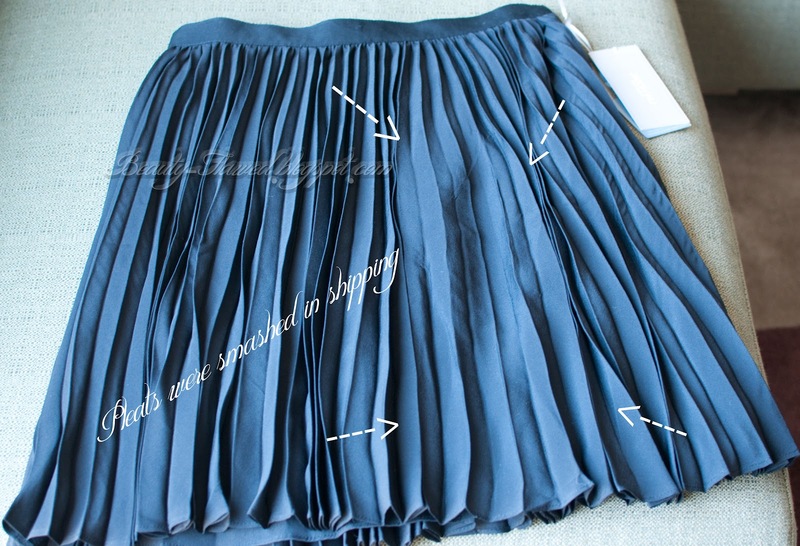 On the left is a picture of how the pleats became smashed and misshapen during shipping, not going to lie I was pretty upset about this. Since this piece is a limited item I could not get a replacement from Target so I had to do the next best thing and try to fix it. So to start I tried re ironing in the pleats with no luck followed by getting it wet and re folding the pleats and then placing many heavy books on top. My second method had a bit better results but it wasn't as good as I hoped so the final attempt that had much better results was wetting it and then adding a bit of heavy starch to the pleats and re folding and squishing with many heavy books. I'm still not completely happy about this especially because if the other pleats start to come out I'm pretty much screwed. This was made out of 100% Polyester so the quality really makes it hard to maintain the pleats but I can't really complain for $29.99. I'm hoping that it will last but only time will tell. 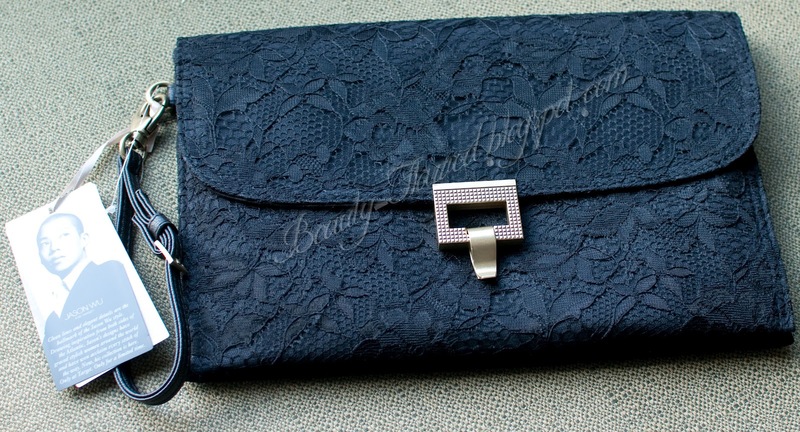 Next I present to you guys the Lace Clutch which is my favorite piece that I own. The quality is nice it has a good weight to it and the clasp is reliable and easy to open. This piece was also $29.99 and for a clutch its a great value. This was actually much bigger than I thought it would be you could easily fit a tablet in here with no problem along with some makeup! 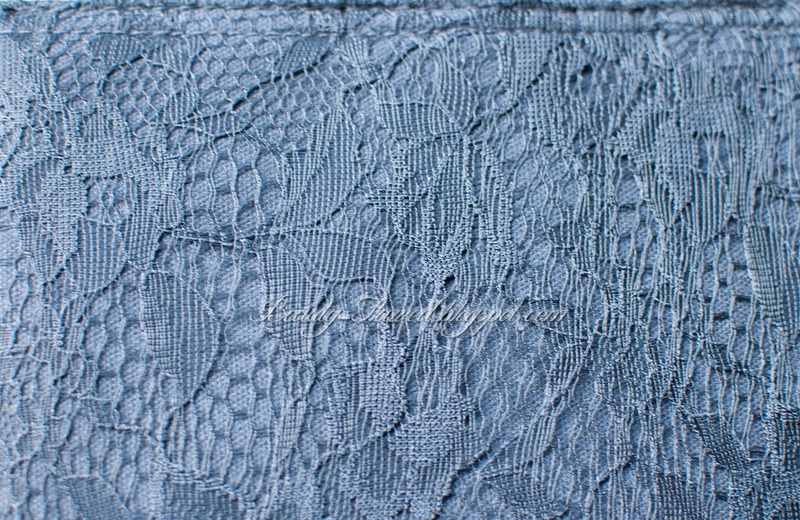 The lace is stretched over the canvas and then sewn to the edges so with this piece my only concern would be the lace getting snagged and creating a hole that couldn't be fixed. Needless to say I'm going to be super careful with this one! 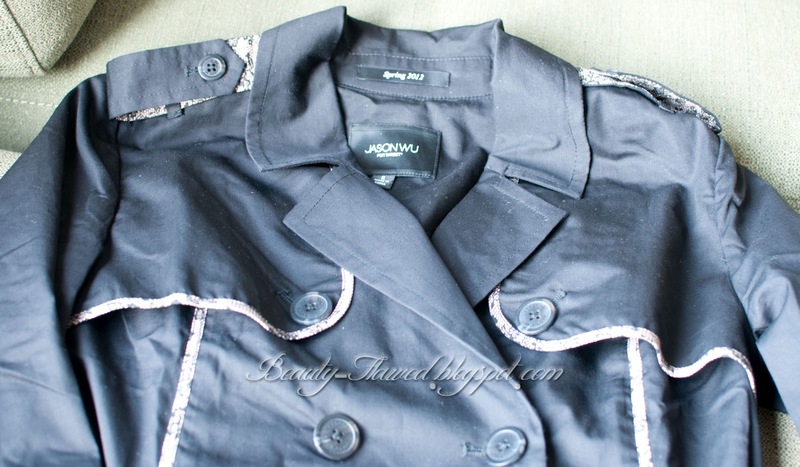 Lastly here is the Black Trench Coat I picked up for $54.99, for the price this is an awesome trench and I have always wanted something like this that I could wear out with my dresses and skirts. The catch however is that this piece turned out to be about TWO sizes TOO big... So it's pretty much a tent. I picked this up in a Small and it could easily fit someone who was a Large. It fits nice threw the shoulder but that's about it the sleeves are so long they completely cover my hands the only thing you can see poking out are the tips of my nails. 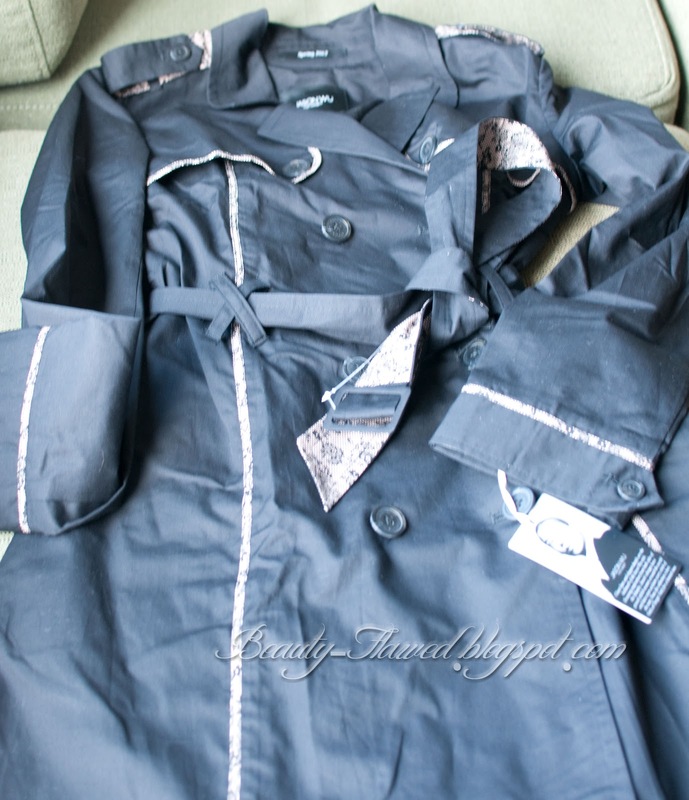 Around it is quite large as well I expected it to be bigger in this area since it is a trench coat but really I could fit two of me inside it and still be able to tie it off in the middle with room. I've been looking for an XS in this but it seems that the XS is quite elusive so I'm going to take it to a tailor and hope for the best! Now through all of this I have not been the only one with Wu Fever... I came across a Facebook group one day while stalking the Target Style page and have been checking that out here and there to see if there are any Unicorns because I refuse to feed the Ebay vultures at their inflated prices. Now that it's been a little over a week since the release of the collection my fever is subsiding but I'll still keep an eye out for that Black Flare dress I knew I should have picked it up when it was on the website but I didn't, I guess that's hindsight for you! If you would like to drool over I mean check out the pieces in this collection you can go to Target and see them for now or check out the Look book on the Target Style Page. Did you guys score any Jason Wu Items? That group really is incredible. It's like traveling back to a simpler time. LOL. The majority of the pieces were awesome some had quality issues more so than just this skirt, like people blouses ripping 5 mins in to wear all at the back of the arms. If you can find any in store your a lucky duck :) Hopefully the eBay vultures will start returning items soon. The collection does have some quality issues, especially on the blouses! 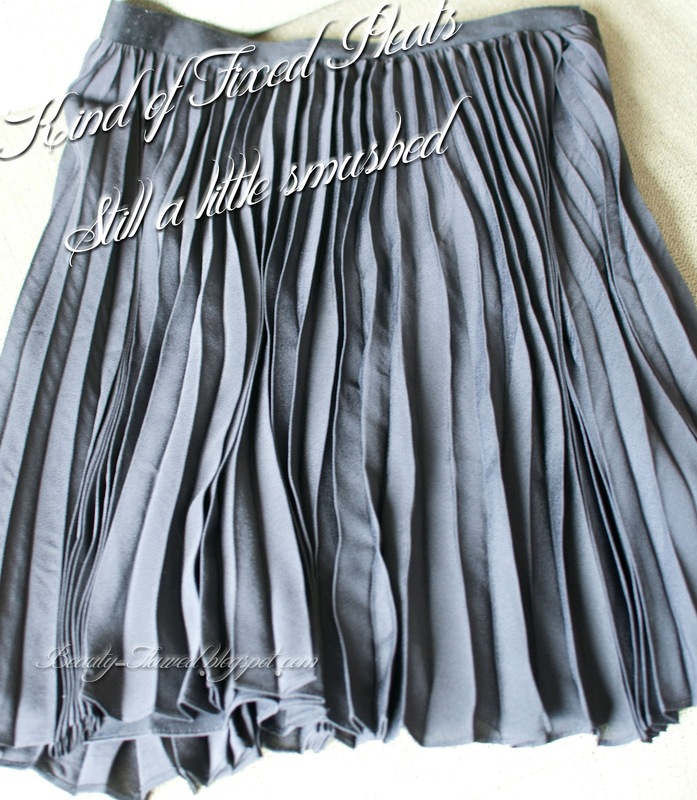 However, I picked up that pleated skirt as well, and luckily most all of the pleats were still intact when the package arrived. 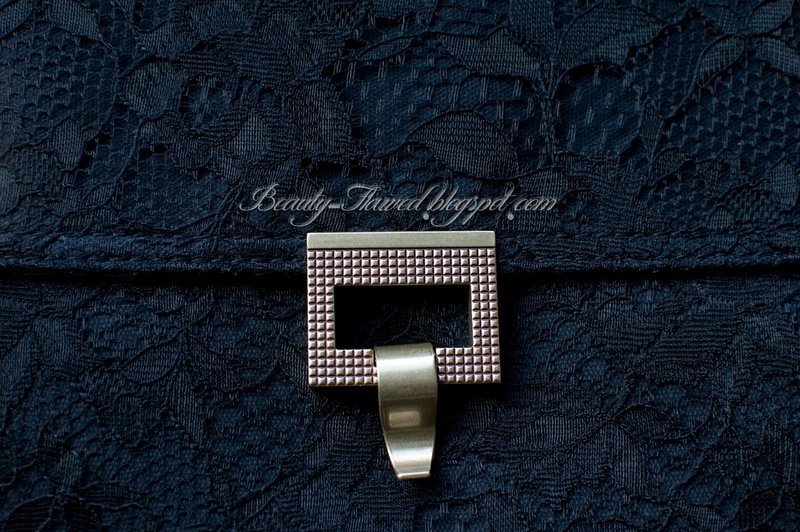 Not sure if you ever post your outfits, but if you do, make sure to post something with your Jason Wu goodies!